MVYouth is brainchild of Dan Stanton and Jim Swartz, friends and longtime summer residents. A newly formed Vineyard philanthropy group with a core mission to support Island youth and an innovative funding model will commit $4 million over the next four years to an array of youth causes, the founders announced this week. Called MVYouth, the group has 40 founding donors, some of them first-generation summer homeowners, who have signed onto the idea that investment in the next generation of children and families is vital to long-term community preservation on the Island. Each of the founders has pledged $25,000 a year for four years, which translates to an initial commitment of $4 million, or $1 million alone in the first year. Deliberately lean on staffing, the group is using a pooled, direct funding approach that they say is geared toward transparency and simplicity. An executive director has been hired, but there will be no other paid staff or administration. Founders have pledged separate funds to pay her salary and any other overhead and operating expenses. This means that all the charitable giving goes directly to support the mission of the organization. About one-quarter of the money will be disbursed in the form of need-based scholarships, while other funds will go directly to programs serving infants through young adults in the form of expansion grants. A local advisory board, still being formed and made up of year-round residents, will help direct the funds. 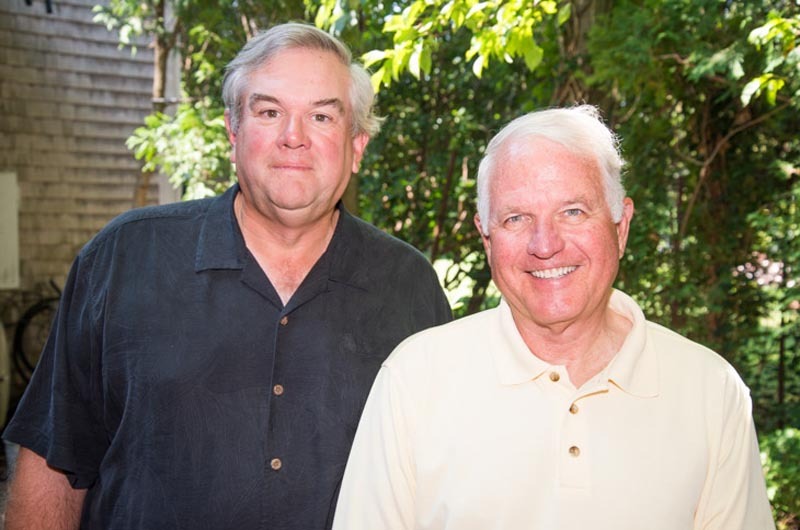 MVYouth is the brainchild of Jim Swartz and Dan Stanton, summer residents of Edgartown who have professional backgrounds in business and finance and have been involved in an array of philanthropic ventures that benefit young people, both on and off the Island. The two men, who are friends, told the Gazette in an interview this week that while attending various fundraisers on the Vineyard they found themselves talking more and more about how charitable giving is typically used to sustain operating budgets for nonprofits. They discussed the idea of a fresh approach. “There are a lot of us who love the Vineyard and want to do something to help, but a lot of the charitable models aren’t as effective as they could be,” said Mr. Stanton, a retired investment banker at Goldman Sachs who owns a home at Herring Creek Farm. “The old fundraising methods don’t work as well anymore,” agreed Mr. Swartz, a venture capitalist who has been a strong backer of the YMCA of Martha’s Vineyard, among other things. They said the new group partly drew its inspiration from two other innovative charitable groups: the Robin Hood Foundation in New York city and Tipping Point in San Francisco. Those two nonprofits have a mission of fighting poverty (Tipping Point was modeled after Robin Hood). Both use the flow-through approach where all donations go directly to the cause with no funds eaten up by administrative costs. MVYouth has applied for 501c3 status and expects to receive it shortly. The names of contributing founders will be released once the organization gets their permission, Mr. Stanton said. 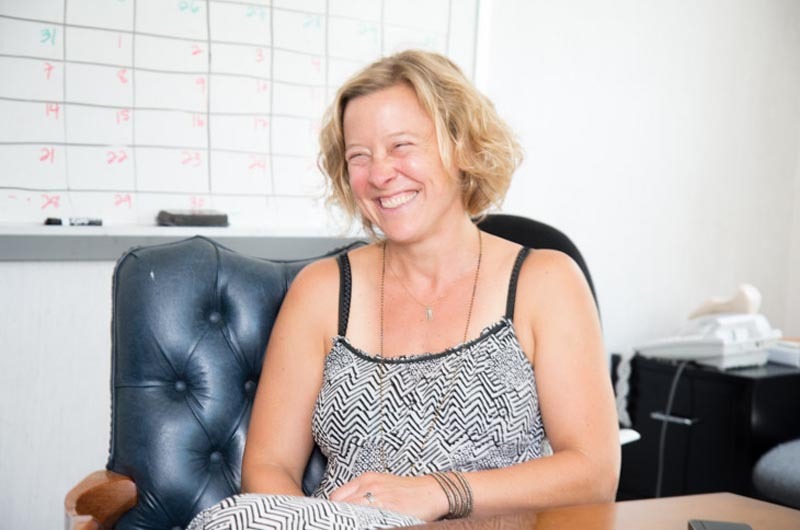 The executive director for the organization is Lindsey Scott, a year-round Island resident who has a long background in working with children. Mrs. Scott has taught art at the Martha’s Vineyard Public Charter School and most recently ran the children’s programs at the Martha’s Vineyard Film Festival. She lives in Chilmark and is married with children of her own. Why kids for this new philanthropic venture? “We believe that if you get kids right, then a lot of things follow,” Mr. Swartz said. Ron Rappaport, an Edgartown attorney who has joined the advisory board as its chairman, said one clear goal is to not compete with other existing charitable groups on the Vineyard such as environmental groups, the preservation trust and others. “We hope we are not perceived as a threat,” he said. MVYouth plans to devote some 25 per cent of funding in the first year to scholarships and the remainder to expansion grants. Grant applications will be accepted in the fall and the group has launched a website (mvyouth.com). One clear difference with MVYouth is that its mission does not include funding operating budgets. Instead, it aims to fund capital projects and program expansions. “MVYouth will add capital to organizations ready to take quantum leaps forward,” a press release that went out this week said. In addition to Mr. Stanton, Mr. Swartz and Mr. Rappaport, the board of trustees for MVYouth includes Steve Barnes, Drew Conway, David Fialkow and Mimi Haas. The local advisory board members so far are Meg Bodnar, Brock Callen, Beth Kramer, Brian Mackey, Peg Regan and Mr. Rappaport. Applications for expansion grants are expected to be due Nov. 15 and announced Feb. 1, 2015. Scholarship applications are expected to be due Feb. 1, 2015, and announced March 15, 2015. Mr. Swartz underlined the commitment of MVYouth. “We think it is just the right time. We have 40 people . . . . and the message here is that they absolutely do care,” he concluded. What a great article. Thanks to all of you for giving back to the young ones on our Island. They are our future, and your team will help them grow. What a wonderful development, literally, in the energetic future of the Vineyard. Jim, Dan, Drew, Steve, David.and all the rest never cease to amaze me. You are the most wonderful and generous people I have had the honor of calling my friends. Thank. You all so,much. Goldman Sachs? That's blood money. Possibly the most ignorant, unlearned comment I've ever read. Now we need generous philanthropists to step up and help our frail elderly who are cared for at the MVCenter4Living.Perhaps one day they may need those very same services. Thanks for helping the kids! !